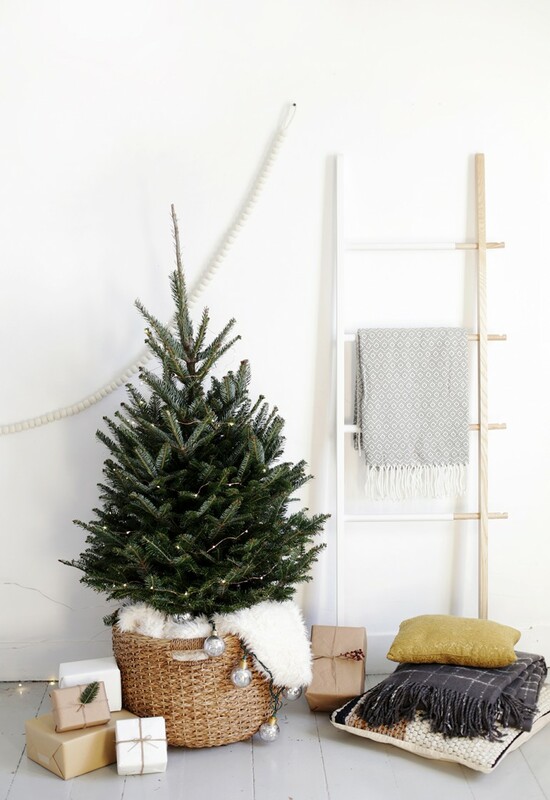 Christmas doesn’t have to be expensive or exhausting trying to create the perfect Christmas. It should be a special moment creating memories with the ones you love while sipping on peppermint hot chocolate. Here are some simple ideas to clear away the clutter so you can make time to breathe and enjoy the season. I grew up with the idea that Christmas should be about the meaning of Christmas and time as a family. I would show up to school after the two-week break and be super embarrassed by the small list of presents we got for Christmas, while my friends listed off all the amazing stuff they got. But as I got older, I realized how special our Christmas’s really were! What a gift our parents gave us to make the true meaning of Christmas be the star of the show, not about we received. There was always some fun practical surprises for us under the tree. Sometimes with a special bigger gift for us girls to share which was always the most exciting gift! One year we each got a colored towel so we knew who’s towel was who’s (maybe so we couldn’t blame the other for who left their towel on the floor;)). But I loved it! And it really taught me the value of what is important while keeping it simple. Before we got to open our gifts, we would read the Christmas story in the bible of Jesus being born. Now that I have my own kids, we still like to carry on this tradition of reading about our sweet savior coming into this world to save us all from our brokenness. One tradition we love to do with our kids is wake up on Christmas morning and share a beautiful Christmas brunch together. I will prepare and set the table the day before and then wake up a bit earlier than everyone else to pop the prepared casseroles into the oven. We will open our presents first before eating, or just open our stockings if we got too eager the night before with our presents:). I love the whole Christmas season but I know how overwhelming the process can be. Let’s trade the clutter, expense, and stress, and choose to enjoy the special moments with the ones we love. So you know what they want. It’s not about having a bunch of expensive gifts, it’s about the company you get to enjoy it with. I got my fun boxes from Superstore for a good price. And look how cute they are! I didn’t want to worry about wrapping paper this year, so this really made things simple. And your gifts must remain small enough to fit in the boxes so it made it less expensive too! No wrapping needed. Instead of pulling names and going shopping, use what you have that you don’t need anymore and wrap it. Get silly with your gift. It is sooo fun!!! Especially in a large group. If you don’t have something to wrap, go to Bibles for missions and find something useful. Like a classic old game or movie. Even some fun painted picture frames or tools. It still has the fun of unwrapping something, but way funnier! Who knows? You may still get something that you could actually use! It’s great for recycling. You could save the money you would have spent otherwise, or put the money you would have spent towards a food hamper for a local family in need. Make a shopping list from your Christmas menu. Go shopping for these items a week or two earlier, so you have them ready to prep when needed. Of course, there is always something to text your husband to pick up on his way home. It at least takes out the need to go out to the busy shopping places right before Christmas saving your sanity. A day or two before Christmas, enjoy the day with your kids and get the meals and appys prepped and cleaned up, ready for Christmas. Be flexible about what day you meet. If you have extended family, or your kids coming home for Christmas, set aside another day to get together. You don’t have to get together on Christmas to make it count. We have done our own special celebration on the 23rd or 26th instead. Being that we weren’t rushed and were able to preserve our own family time, it made it a much more relaxing experience. Or do a rotation of the extended gathering each year.It’s not worth melting down just to keep up with the Jones’s expectations. Have a prelit or even pre-decorated small tree and call it a day. Make it simple and festive. Get the kids to get creative and make your decorations to save money. It can be super fun! Even if it’s hard to motivate them to join in:). All of our stuff was in storage this Christmas, so I had my kiddos make fun decor including our fireplace to hang our stockings on! Like the handmade decorations? It kept my kiddos busy for a while and the place feeling decorated. Hopefully, this helps you feel a little less stressed about your Christmas experience. I love the reminder this season brings how our Savior came to this broken earth in such a simple, humble way to bring us all hope. Hope to invite us into His presence for all eternity. What a joy that is to reflect on! And if you are missing your loved ones this season, know that our Savior wants to meet you in that ache and loneliness and replace it with joy and peace in abundance. He invites you to open the door to your heart and let Him in. To know Him in a deep personal relationship that is more fulfilling than any others. I pray that you may enjoy your Christmas experience for just the simple lovely that it is. As I say this, snow is coming down for the first time for this season right now! I will try to be settled and enjoy a simple Christmas with my family too… even if it’s in our not so perfect basement suite. Now the question remains, when will we actually move into our new home!??!? Check out the beginning of our story here. What are some of your favorite Christmas traditions or memories? Sign up below for more simple solutions right to your email! « WHERE DOES MY HOPE COME FROM?